The ICA Cookbook is a unique collection of tried and tested recipes from the homes of ordinary Irish women across the country. Whether you are looking for a comforting soup, a family meal or something sweet, the beauty of this book is that you know the recipe will work. There are over 100 delicious recipes for everything from Spring Nettle Soup and Dublin Coddle to Crusted Rack of Lamb with Orange and Olive Salad, together with `How To' sections on baking, making preserves and cooking potatoes as well as cooking for a crowd and within a budget. This cookbook will also prove an invaluable resource for the next generation of home-makers, those novice cooks still building up confidence in the kitchen who might call home for that foolproof recipe. 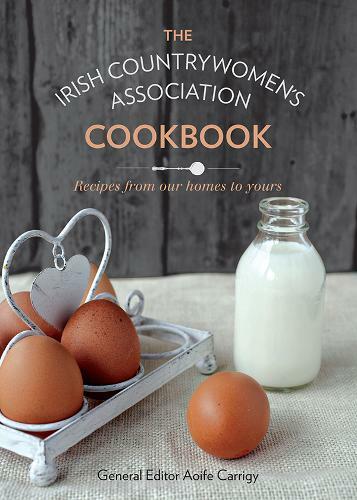 Think of The ICA Cookbook as akin to having not just your own mammy on speed dial but rather a whole host of mammies and grannies from all over the country, each sharing their own words of wisdom and precious firsthand experiences.